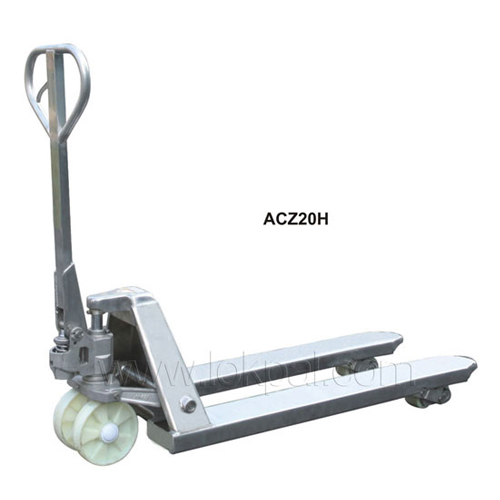 Offering easy maneuver and manageability, Galvanized Pallet Truck has become favorite Equipment among our customers. This is equipped with steering and load wheels that allow it to lower down the rolling resistance. Thus, it helps in protecting the equipment from any wear or tear. 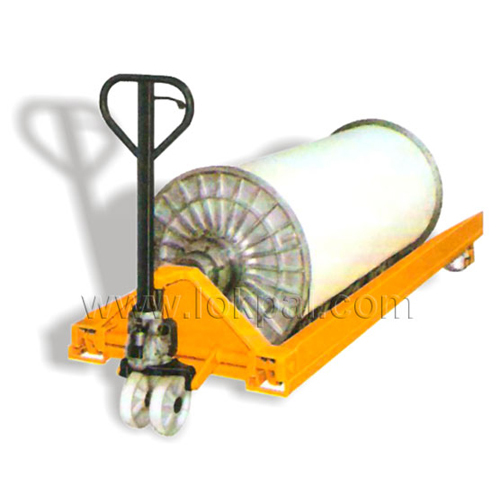 Roll Pallet Truck is unique equipment for lifting and transport materials from one place to another. This has a service range of 0” to 6-3/4” that allows reel to get easily rolled onto forks from ground level. 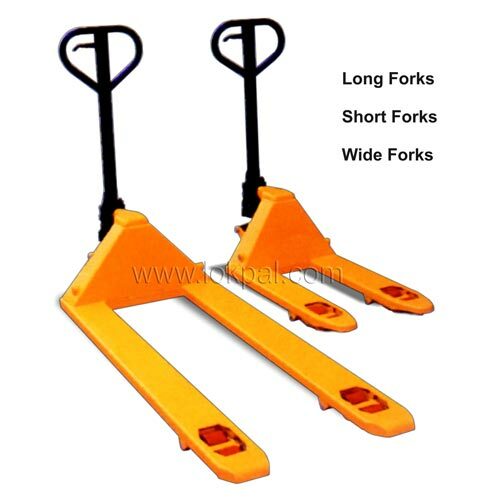 Furthermore, it has tapered V-shaped forks that keep the roll centered on the pallet jack. 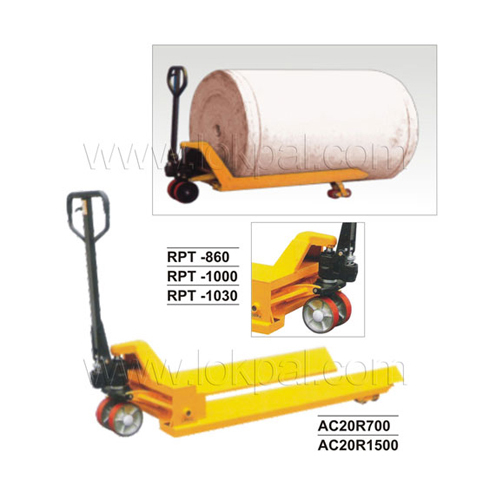 For easy, smoothen and convenient movement of pallets, many customers use Warp Beam Pallet Truck. The beam flanges available get rested safely on the pallet while transporting. This is manufactured using high quality materials that are factory tested and perform efficiently. 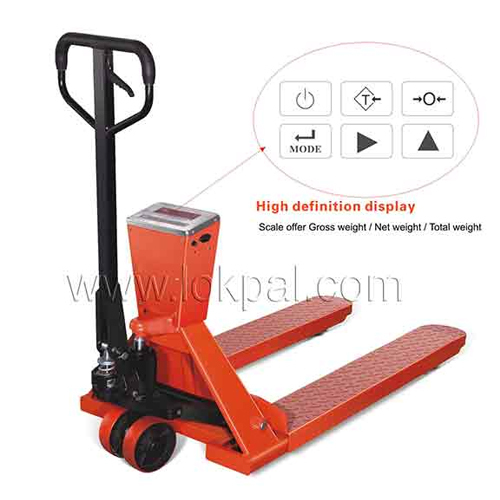 High Lift Pallet Truck with the optimum loading capacity is used to lift materials from different heights. This is designed as per international standards and meets the customer’s requirements. It has owed to its unique features like light weight, high durability, reliability and others. Suitable for handling of goods at low heights, this Electric High Lift Pallet Truck has become resourceful equipment. The height adjustable workstation, make it perfect for easy distribution and sorting operations. It has maintenance free battery, easy load transfer, automatic height adjustment and other features. 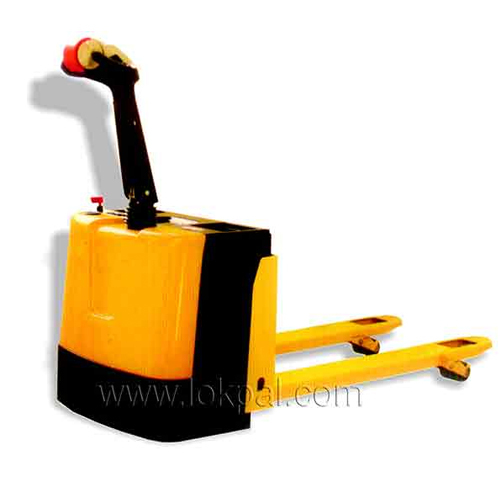 Special Size Pallet Truck is designed for handling mainly odd shaped loads. 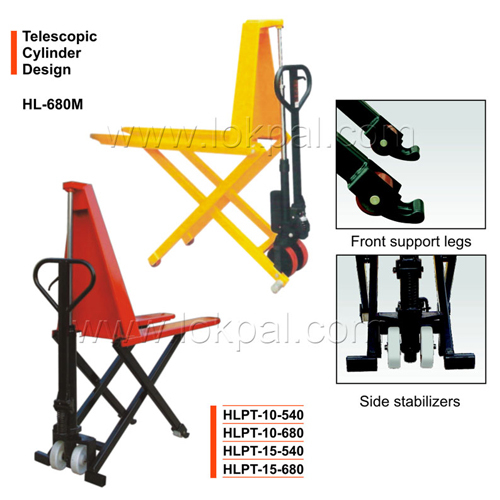 Some of the unique characters like high durability, light weight, corrosion resistant body and others, made this equipment favorite among the users. Scale Pallet Truck is manufactured using duty solid steel that offers its long service life, durability and dependability. This is ideal for daily operations, allowing the time saving operation. The basic scale function is used for all types of accurate check weighing. 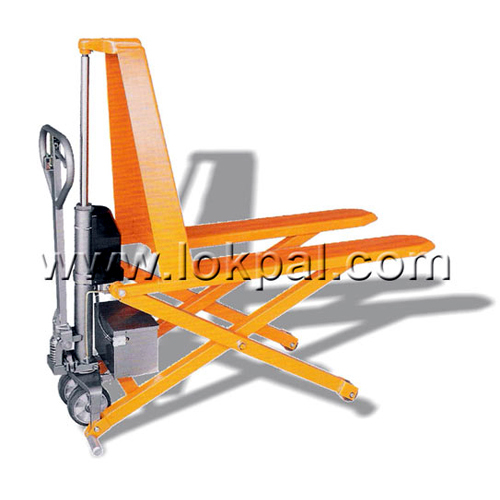 Whether it is about loading or unloading the pallet, Full Electric Pallet Truck is used widely in various industries. This minimizes the job of operator by making the function easy and comfortable. It requires minimum effort that helps reducing the stress on wrist, thumb and finger while operating it.